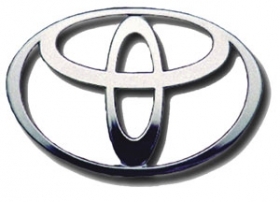 WASHINGTON (Bloomberg) -- Toyota Motor Corp. knew about flaws that could cause unintended acceleration more than 3 1/2 years before it recalled cars and trucks to fix the defects, according to company timelines. Toyota, the world's largest automaker, learned that floor mats could entrap accelerator pedals as early as Feb. 7, 2006, and was aware five months later that pedals could stick, according to documents dated March 24 that were submitted to the National Highway Traffic Safety Administration and obtained today. The timelines show what Toyota has said was a slow response that led to the recall of about 8 million vehicles worldwide, including 1,687,000 in Europe. The recalls started last year to repair two types of acceleration-related defects. The first report was from a model year 2005 Prius hybrid "regarding floor mat interference with an accelerator pedal," according to the documents, which were sent by the carmaker to the safety agency. Martha Voss, a Washington-based spokeswoman for Toyota, had no immediate comment. Toyota began recalls for the two pedal-related defects after an Aug. 28 Lexus sedan crash killed off-duty California Highway Patrol officer Mark Saylor and three family members when a floor mat jammed down the accelerator pedal. The U.S. Transportation Department this week proposed a record $16.4 million fine on Toyota after concluding the carmaker “knowingly hid a dangerous defect.” Companies have five days after learning of safety defects to report them to the auto safety regulator under U.S. law. The timelines were sent to NHTSA's Office of Defects Investigation, which like Toyota, is facing criticism from Congress for its role in the recalls.